The sun sets over Agrium’s currently dormant fertilizer plant on Sept. 29, 2016 in Nikiski, Alaska. The company is working to get the permits it would need from the state were it to reopen the facility. The Agrium natural gas-to-fertilizer plant in Nikiski has been taking steps to reopen. If it does, it could add hundreds of high-paying jobs to the struggling Kenai Peninsula economy. But that depends on a reliable natural gas supply, something that’s far from certain. Mark Schaafsma worked in the maintenance department at the fertilizer plant in Nikiski for 32 years. And he was one of the last ones to leave after Agrium announced it was decommissioning the plant in 2007. He said it wasn’t easy. “I knew the plant was closing and that my career there was coming to an end, but when the day actually arrived, it took me by surprise how emotionally disruptive it was,” he said. 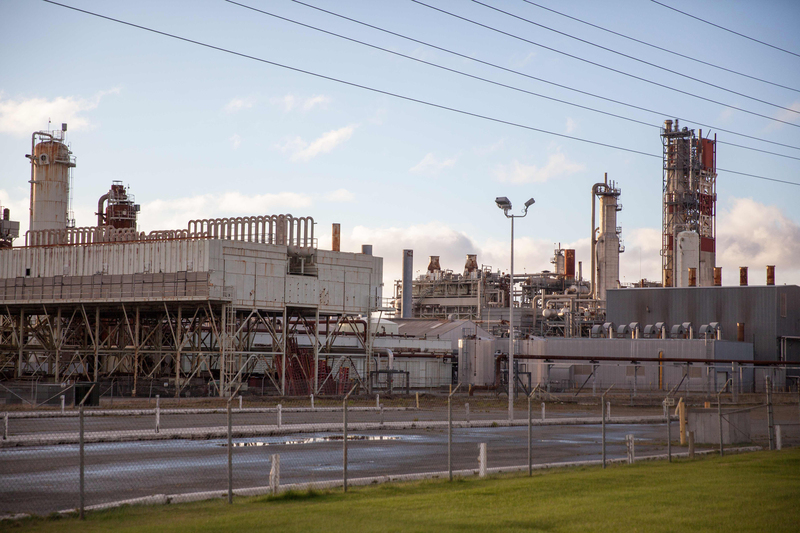 Agrium’s Nikiski plant used natural gas to create fertilizer products. When it closed, it was the second largest producer of ammonia and urea in the U.S. Most of it was sold overseas to markets like South Korea, Mexico and Taiwan. Schaafsma found other work pretty quickly, but the plant’s closure shed hundreds of jobs from the Kenai Peninsula’s economy. “There’s a huge ripple effect. Look what happens in the so-called rust belt in mid-America. A lot of little towns have practically dried up and blown away because of the loss of industry,” he said. After the plant closed, rumors about it reopening started almost immediately. Now, the speculation is bolstered by news that Agrium is seeking a permit to discharge waste from its Nikiski plant. In 2015, the company received air-quality and pollution permits for the plant. All three permits would be required for the plant to reopen. But, there are other barriers. It needs a large, steady supply of natural gas. Agrium’s Manager of Government Relations, Adam Diamond, says the company has been in talks with Cook Inlet producers. “We’re talking volumes that are large volumes. One half of the plant uses 80 million cubic feet of gas a day,” Diamond said. But, there isn’t yet that volume of extra natural gas flowing out of any of the Cook Inlet reserves. 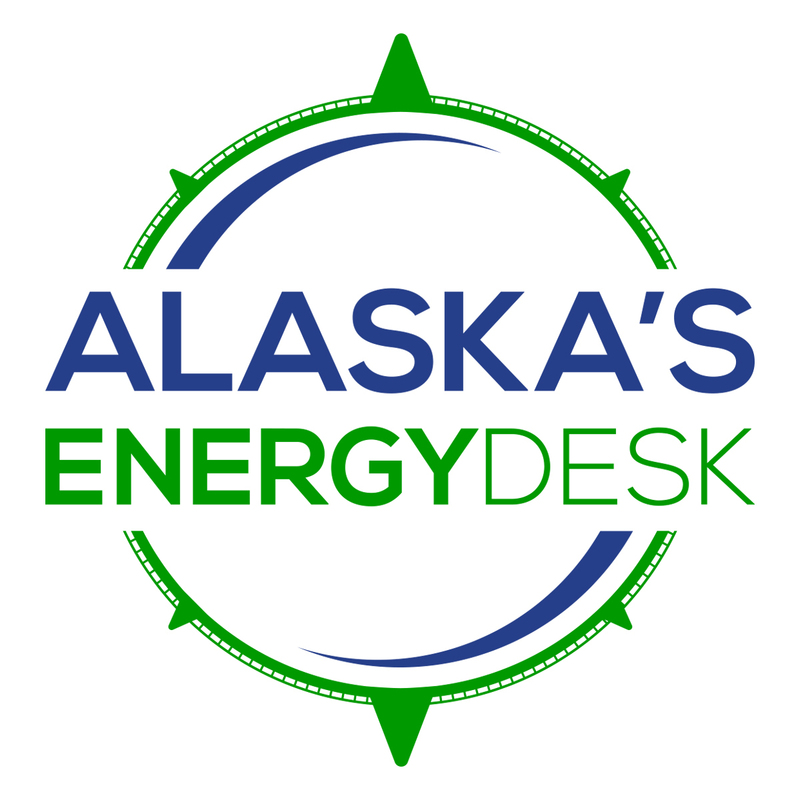 Diamond says Cook Inlet’s natural gas discoveries in the last five years are what piqued the company’s interest in restarting the facility. “There’s still, you know, ‘we believe there’s x amount of gas in the ground.’ But that’s very different than, there’s x amount of gas flowing through the pipeline,” Diamond said. The company would also have to spend an estimated $200 million to reopen the facility. To help the process along, House Speaker Mike Chenault, a Republican from the Kenai, ushered a bill through the last legislative session that would give the company a tax break, if it uses gas from a state lease. In its permit application, the company proposes reopening two of its four production lines and hiring about 140 people. If it can land a large enough natural gas supply, it could add another 100 jobs. For Chenault, whose district includes Nikiski, the plant could be a strong economic driver to the area’s battered economy. “When they were running at their peak performance, they were employing about 400 employees. All of them good paying jobs. And all those were local jobs. There wasn’t a week on, week off or two weeks on, two weeks off schedule where you could live outside somewhere else and fly up here,” Chenault said. Those kinds of local jobs are important for industry workers who live in Cook Inlet. Andy Schaafsma watches his dad talk about his time at Agrium’s mothballed Nikiski fertilizer plant on Sept. 29, 2016 in Soldotna, Alaska. Schaafsma, a process technology graduate, says he’d like to work at the plant if it reopens. Mark Schaafsma’s son, Andy Schaafsma says a job with Agrium always appealed to him. Instead, he worked for two years as a roustabout on an oil platform. 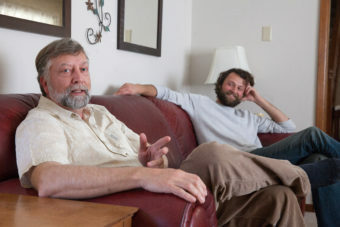 He’d spend a week at home with his wife in Soldotna, then a week at a remote production site on the other side of the Cook Inlet. Both men say the pressure on families can be enormous when oilfield workers spend that much time away from home. “Just the, flipping back and forth between being completely not there and then being there the entire time is, well it takes some getting used to,” Andy Schaafsma said. Currently, Andy Schaafsma works brewing beer in Soldotna, but he says he wouldn’t pass up the right opportunity to work at Agrium.